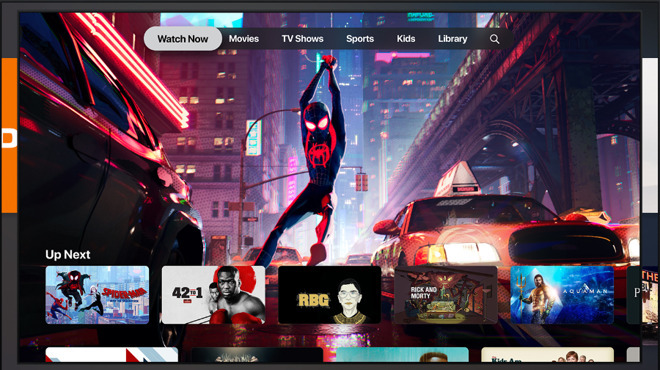 Apple's new Apple TV app is an evolution of the "a la carte" model, with Apple promising you can only pay for what you want, watch it in one app, online or off, with family sharing enabled from the start. Apple TV Channels will center on a redesigned Apple TV app which will launch in May for iOS and Apple TV. For the first time, an Apple TV app will also come to the Mac, though that won't be launching until the Fall. No pricing was announced for Apple TV Channels, but Apple has confirmed that subscriptions to it and Apple TV+ will be available to use via Family Sharing. Tim Cook said that Apple has been bringing us TV for over a decade. "We've done it because we love TV," he said. "TV is more than entertainment, it's cultural. TV at its best enriches our lives and we can share it with people we love." "With so many choices, however, sometimes it's hard to know where to start. That's why we created the Apple TV app. So you can spend less time looking for something to watch and more time enjoying it." Cook brought up Peter Stern, Apple Vice President of Services, to detail the new service which described as a new way of watching TV. "A new TV experience where you only pay for the channels you want," said Stern. "All in one app. With the password you already have. Watch everything on demand and ad-free. Download your shows to take with you anywhere. Enjoy the highest quality picture and sound available. This is how TV should work. Now it does, with Apple TV Channels." Stern announced that the newly redesigned Apple TV is coming to the Mac "this fall." It will also be added to smart TVs including Roku. Currently the Apple TV app is available in 10 countries, said Stern. "We're bringing the experience to over countries," he concluded. As well as introducing updated app bringing in current services, Apple also introduced its new programming under the name Apple TV+. The new streaming service is far from the first time Apple has either used video or charged us for it. The company famously kick-started video on the internet with its QuickTime software and 1999's debut of Trailer B for "Star Wars: Episode I: The Phantom Menace" online. The success of that trailer was such that Steve Jobs described it at the time as being the world's biggest-ever download. 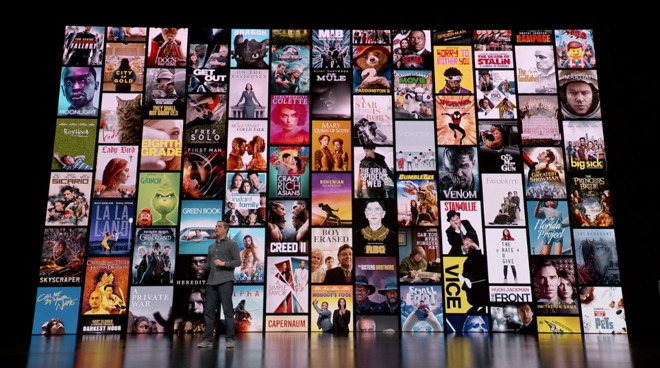 It was also sufficiently high quality and sufficiently popular that to do this day, Apple has a Movie Trailers site which regularly debuts new promo videos. That popularity with both the public and the movie producers must've helped when Apple wanted to add video to the iTunes Store. Initially, video was available in iTunes from early 2005, but only as a way to include bonus "Making Of" along with purchases of certain albums. When iTunes 6 was announced in October 2005, it officially added the ability to buy video items. At launch, the videos totalled six Pixar shorts, around 2,000 music videos and videos from assorted Disney television series such as "Desperate Housewives." "We're doing for video what we've done for music—we're making it easy and affordable to purchase and download, play on your computer, and take with you on your iPod," said Steve Jobs, Apple's CEO. That reference to music was quite deliberate. By this time in 2005, iTunes had transformed the music industry and shown record labels that people were keen to buy downloadable music. Steve Jobs was telling the industry that this is how film and television video sales would go too, and he was right. By 2012, Apple was providing approximately half of all the online sales or rentals of movies. That didn't last, however, as by 2017 AppleInsider was reporting that streaming video from rival firms was biting into Apple's market share. Plus, even in late 2017, there was news of Disney entering the streaming market too. 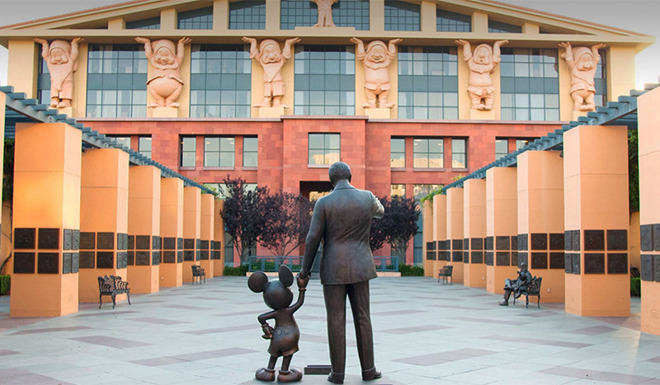 In 2019, Disney's offering looks to become even more of a competitor, too, as the company recently spent $70 billion acquiring 21st Century Fox and its library of material. 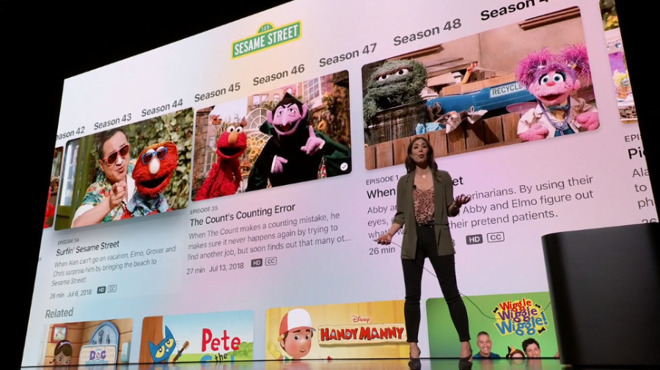 The new service from Apple is officially its first time streaming videos and its first time making an entire slate of programming. It's true that its reported $1 billion worth of new shows represent its greatest investment in video, but Apple has made shows before. Throughout its history, it has made videos about its products, but it's also tried making programmes such as the hit "Carpool Karaoke" which it derived from a repeating segment of "The Late Late Show with James Corden." It also had the flop "Planet of the Apps" series. Apple has also been streaming video before. While in theory when you buy or rent video from Apple's Store, it downloads to your device, that is not always the case. When Apple added 4K-resolution movies, it admitted that it was solely streaming them, not making them available to download. Then, of course, Apple is now well-versed in how to stream its event presentations —including the March 25 one —where very many people watched online. Enough people watch that streaming successfully is not straightforward. Apple famously had severe problems with its streaming of the company's September 2014 keynote and was roundly mocked for it by Samsung. As high as the viewing figures for these events must be, they're unlikely to be a fraction of what Apple will hope for with the general public watching its new video streaming service.